He may have been everyone’s favorite neighbor, but the small western Pennsylvania town of Latrobe was lucky enough to have Fred Rogers as its own, at least during his younger years (he eventually moved to nearby Pittsburgh). With the 50th anniversary of the debut of “Mister Rogers’ Neighborhood,” and the documentary coming out this summer, fans may want to visit the big-hearted TV personality’s real-life hometown to pay homage. 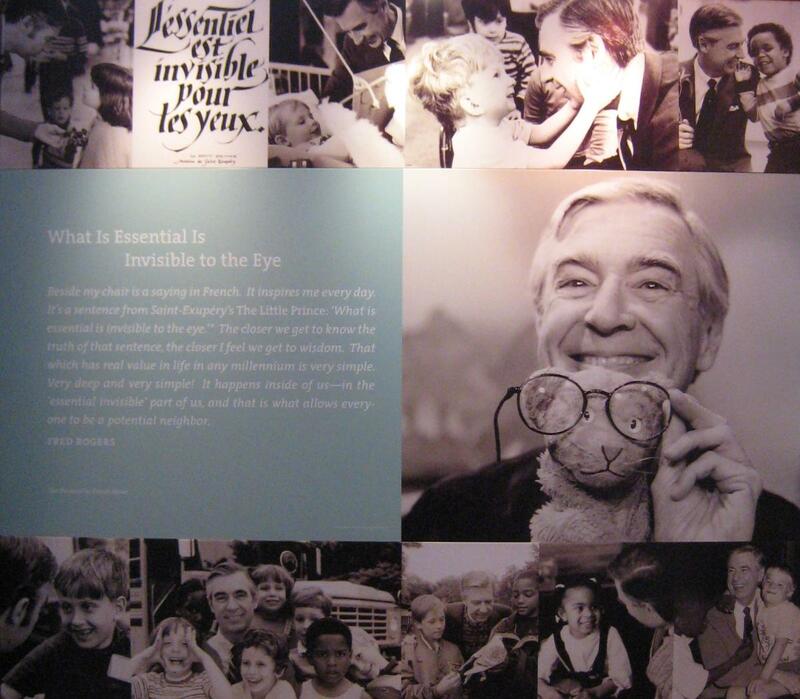 At the Fred Rogers Archive, a public interactive exhibit located within the Fred M. Rogers Center on the campus of Saint Vincent College—where the Pittsburgh Steelers hold their training camp—visitors can relive their childhood by seeing the children show’s original Neighborhood Trolley, scripts from actual episodes and approximately 16,000 other items detailing his life and career. Mr. Rogers is buried nearby at Latrobe’s Unity Cemetery. Pro-golfer Arnold Palmer was also born in this former railway town (he and Fred Rogers were actually classmates), as were two others greats: Rolling Rock beer, and the banana split, which Latrobe celebrates annually at its Great American Banana Split Celebration in August. The drug store where pharmacy apprentice David Strickler invented his now-iconic ice cream dessert no longer exists, though both a plaque and a giant banana split statue stand in its place. Although the groomed fairways on which Palmer learned to play the game are private, golfers can channel “The King” at Latrobe’s Glengarry Golf Links public course. For outdoor enthusiasts of a different kind, the 50-acre Winnie Palmer Nature Reserve (Winnie was Palmer’s wife of 45 years), features walking trails through meadows and forests. Learn about the country’s first coast-to-coast highway, which runs just south of Latrobe, at the town’s Lincoln Highway Experience Museum, or sample site-brewed beers while listening to live music Friday and Saturday evenings at Latrobe’s Four Seasons Brewing Company & Pub. There’s also Di Salvo&apos;s Station, an old train station that’s been transformed into an Italian restaurant and cigar bar.